Several weeks ago, I was contacted by a representative of Intense Plus to review their Intense Plus BTX Age Defense Concentrate. 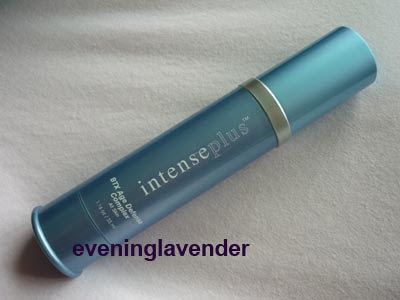 Intense Plus is a salon product. I am not familiar with this brand before this. So far, I have been using this product for about 3 weeks and wish to share my thoughts about this serum. This very light but concentrated serum (15% of active ingredients) smooth away skin surface irregularities. After 8 days, you can see first result. Wrinkles are plumped up. Skin looks radiance and luminous. Skin is relaxed, calm & moisturized. Time is stopped and ageing process is slowed down. 1. The texture is creamy but not oily/heavy. It is light and absorbs very fast into my skin. Although I have sensitive skin, my skin does not have any negative reaction to the product. My skin looks more toned up after each application. This product is made in France and you know that I like anything french including French manicure! If you are interested to know more about this product, please click here. 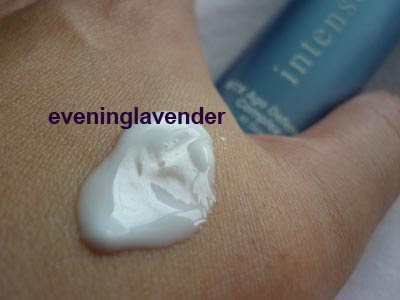 Have you heard of Intense Plus before? Which range have you tried? Note: This product is provided by PR for consideration. I am not paid for the review and the opinions are my own.